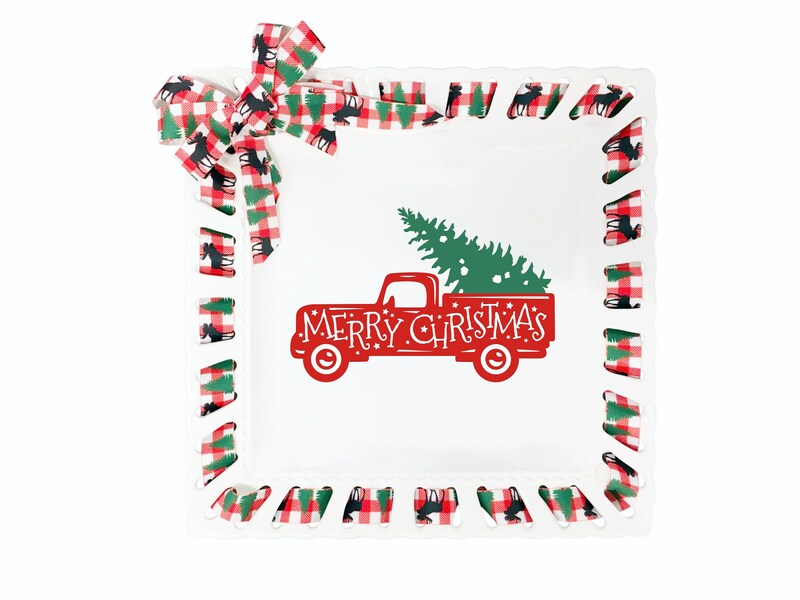 This listing is for a personalized 12" White Square Ceramic Prissy Plate with the Red Christmas Truck and Tree. Made of ceramic, this is a great display piece but also highly functional. All of our ribbons & bows are made to keep their shape - you will never have to tie the bow again!